As the world’s largest online sports nutrition store, Bodybuilding.com takes health and fitness seriously. 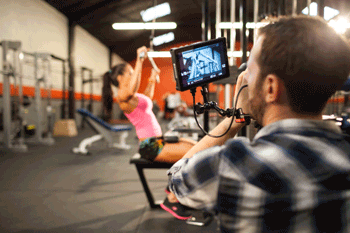 Having accumulated more than 100,000 media assets, with more to come, covering a range of popular online fitness content, publishing giant has takes asset management seriously too – multiple licenses of CatDV help streamline its editorial and archival processes. When Bodybuilding.com was founded in 1999 it only supplied a handful of products. Fifteen years later, the website offers more than 15,000 health and fitness supplements and accessories. The onsite tools help millions of people every month to achieve their health, fitness, and appearance goals. Bodybuilding.com content gives users more than 34,000 pages of free information, including 30,000 articles, plus 10,000 videos of expert-designed training programs, with new content added daily. Bodybuilding.com is also home to BodySpace, the world’s largest fitness social network, where more than two million members share training tips and cheer each other on as they work toward their various fitness goals. 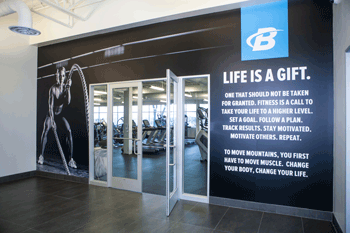 Bodybuilding.com has been recognized time and again for achievements in its field, its innovative work environment, and its dedication to award-winning customer service. The company has twice been listed by Inc.500 as one of the fastest-growing private companies in the United States. With more than 30 million unique visitors per month, it is the most-visited bodybuilding and fitness site in the world, and ranks #251 on Alexa’s most-visited U.S. websites. Bodybuilding.com productions all relate to fitness and help users achieve their goals. The company recently interviewed seven-time Mr. Olympia Arnold Schwarzenegger and completed an eight-week training program titled Arnold Schwarzenegger’s Blueprint. 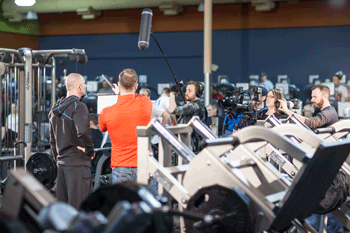 It also shot the long-form documentary Jay Cutler’s Living Large, with four-time Mr. Olympia-winner Jay Cutler. The videos capture intimate moments in the lives of two of the greatest bodybuilders of all time. Additionally, Bodybuilding.com offers Fitness 360s, which are video articles based on the back-stories, workouts, nutrition, and supplement regimens from different athletes, allowing viewers to get acquainted with new Bodybuilding.com athletes and the fitness lifestyle. The website also houses the most extensive exercise video database in the world. The database contains more than 1,000 individual exercises, and a further 500 additional videos are slated to be shot and edited in 2014. 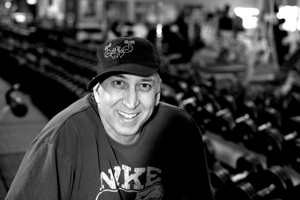 In 2010, Bodybuilding.com had three employees editing footage off the company network, which Clarke describes as “pretty slow.” As it experienced relentless growth, especially in the video domain, the company upgraded to Final Cut Server, using Final Cut Pro 7 for editorial. This allowed the growing media production and editorial team to search for footage and store completed finals, projects, and assets. It also gave some flexibility to have videos reviewed for further direction and approvals. However, Clarke says that by using Final Cut Server, the workflow produced multitudes of duplicate files, which slowed down the editorial team considerably. And then Apple Inc. suddenly announced the end-of-life for both products. Clarke says he was first exposed to CatDV in 2011 while investigating alternatives to Final Cut Server on Creative Cow. “We knew we wanted to work with a central server and stop the needless downloading of files to individual workstations. Plus, we wanted to keep a similar workflow and automation process that we had become accustomed to with FCS,” he says. “With Apple discontinuing FCS and FCP7 we saw the necessity to diversify – we wanted to avoid being married to one product from one manufacturer for our post-production and archive workflow. Cost was another factor, and storage space was at a premium too. Bodybuilding.com implemented CatDV in October of 2012. It uses CatDV Enterprise Server, WebClient, Worker Node and CatDV Professional – totaling 20 licenses (16 of which are active) with plans to populate the remaining licenses with additional editorial staff in 2014. Bodybuilding.com’s CatDV systems run on a Windows Server, with 60TB of storage; GlobalSAN and SanMP are used as the interfaces between the server and Mac client platforms. It runs 10GB Ethernet to each computer to provide the fastest-possible connection and the best capability to play materials in real time. To help keep space manageable on the SAN, and keep assets protected for the long term, Cache-A’s Pro-Cache5 and Library5, with a 48-slot LTO-tape Library, is integrated into the workflow with CatDV to archive footage to LTO-5 tape.